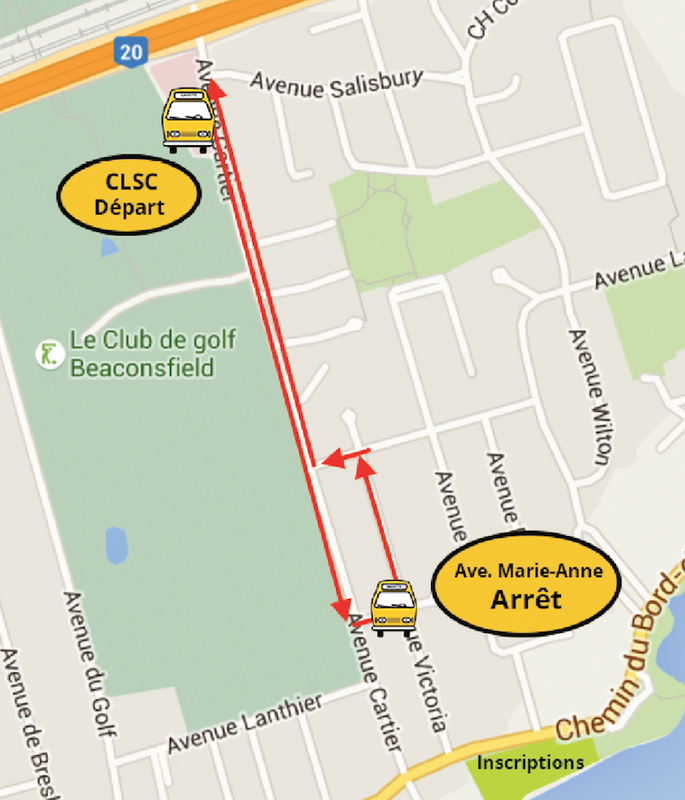 We strongly suggest using STM public transit to get to the event. This is a quick and economical way to get to the event, in addition to avoiding having to find a parking spot the morning of the race. The city bus 201-202-211 will have a modified route. 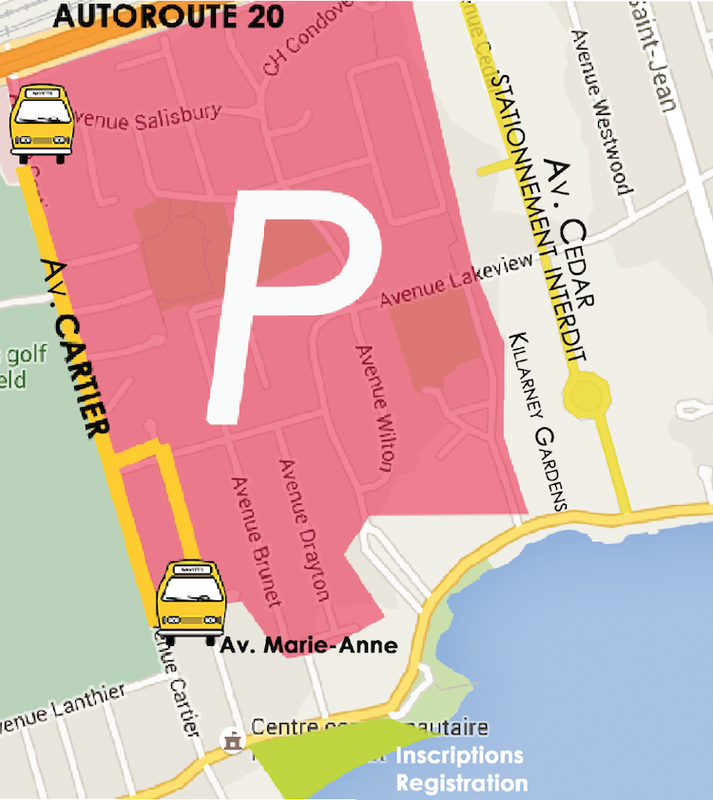 You will get dropped off at the intersection of Highway 20 and Ave. Cartier. A shuttle bus will bring you to the registration zone. 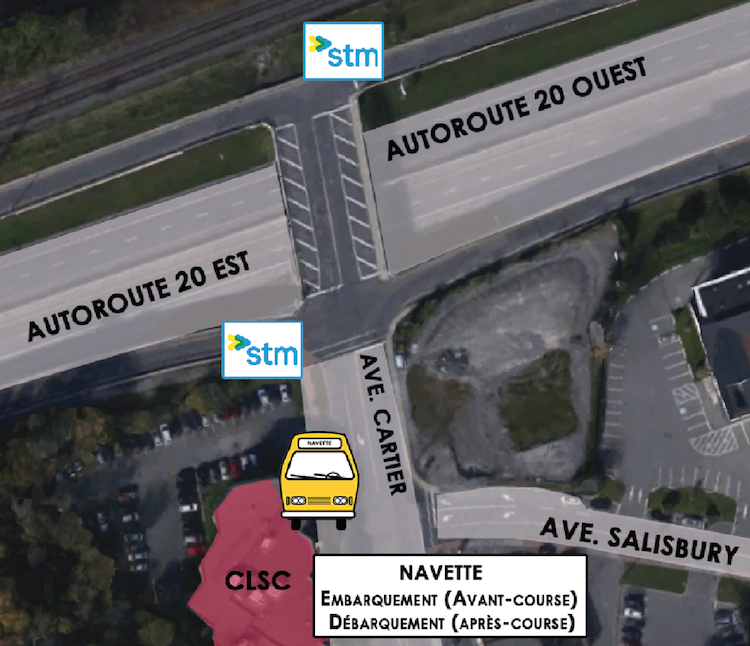 If you park close to Highway 20, a shuttle bus will wait in front of the CLSC (Intersection: Cartier Ave. & Salisbury Ave.) and will drop you off on Marie-Anne Ave.
You can leave bags and any other personnal items that have no value at the back check (supervised), along with the removable part of your Bib. Bib are required to get your bag back. We are not responsible for lost or stolen items. 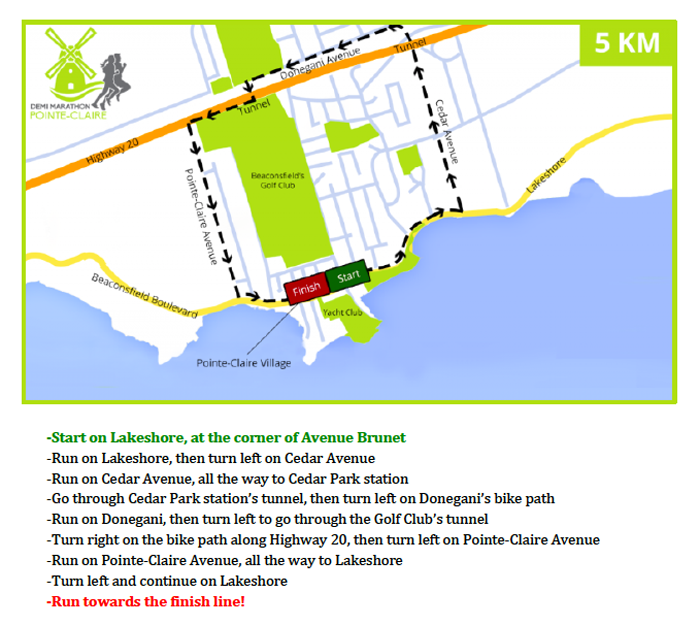 Water and energetic drink stations will be found on the 21.1KM, 10KM and 5KM course. 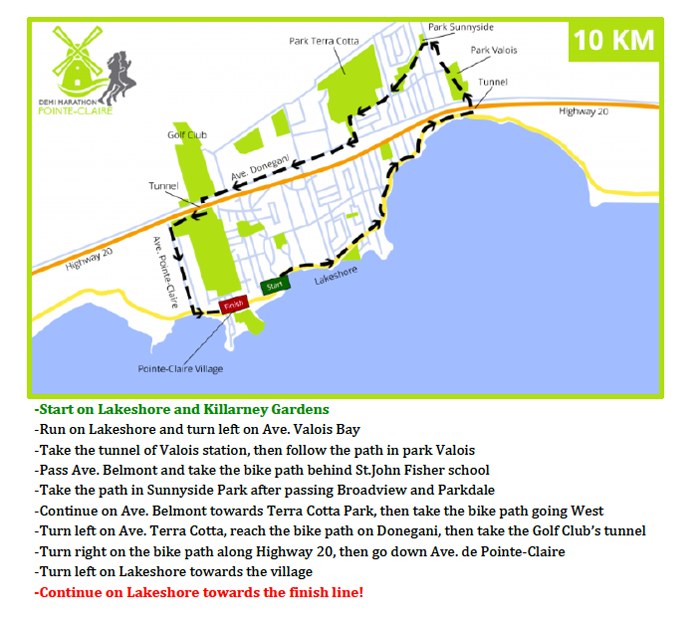 A snack after the race will be offered at Edgewater Park (next to the registration). Toilettes are available 100 meters from the start and finish. There are no showers on site. A kid zone with inflatable toys will be there to make the younger ones happy! 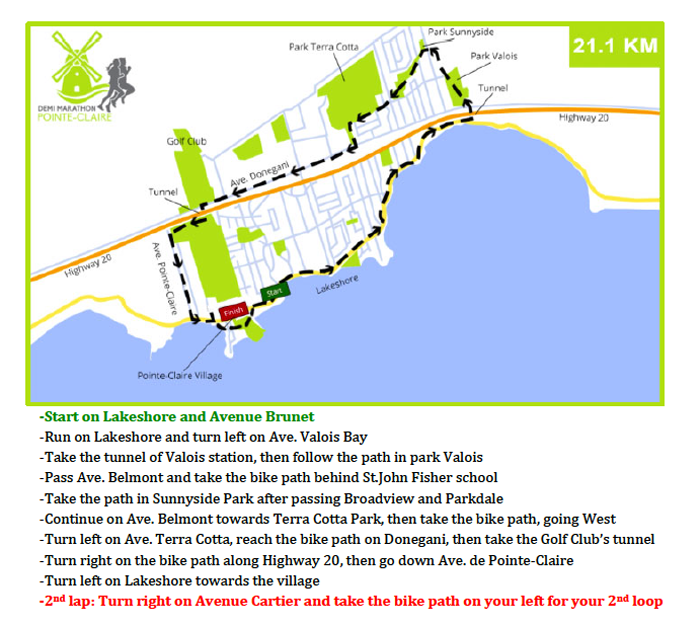 There will be 3 pace bunnies for the 21.1KM to help you run at the right speed: 1:45, 2:00 and 2:15. Just look for the long ears! 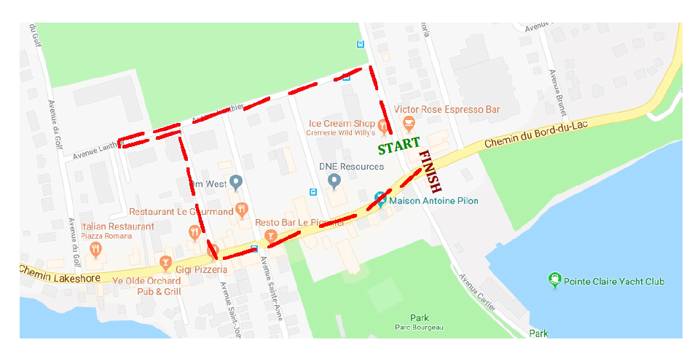 Because of security and logistic issues, the time limite to complete the 21.1km is 3:30 (start at 8:00, finish at 11:30). After that time, we can no longer offer the required support to the runners. For the 21.1km, 10km and 5km awards will be given to the top 3 men and women. the top 3 kids 13 years and under. A medal will be given to each participant at the finish line. 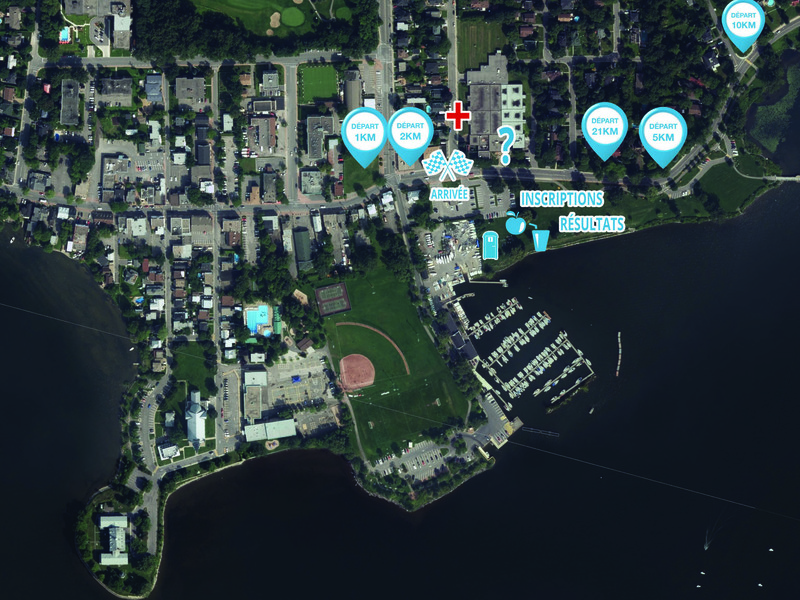 See hotels next to Pierre-Elliott Trudeau (Dorval) Airport or around downtown Montreal. No refund possible. However, we accept transfers until June 7th, 2019 at the cost of 10.00$.